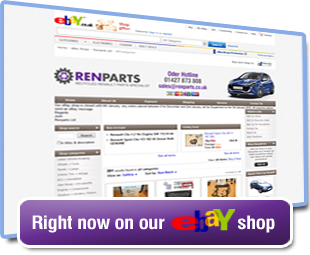 RenParts offers genuine 'original equipment' at up to 60% discount over your franchised dealer. Every item you can buy through your Renault dealer you can buy from us at a discounted rate, with the full warranty you would receive from the main dealer, and the convenience of delivery to your door. We check all parts ordered are compatible with your vehicle by checking your vehicle registration / chassis number on the Renault database, to ensure you get the correct part first time. We also offer a large selection of genuine and thatcham approved quality 'non genuine' panels, brakes, exhausts, timing belts, lamps and mechanical parts which are of superb quality but at a discount price.